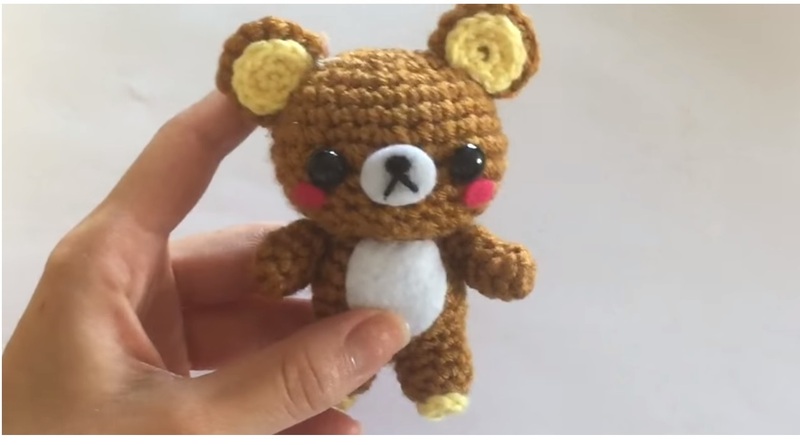 Today we are going to learn to crochet a beautiful, tiny bear. The tutorial is for the Rilakkuma, which is fictionalized Japan made character. Even if you don’t know who exactly Rilakkuma is, you are still going to enjoy making this beautiful tiny bear. The cute tiny crocheted bear can serve as a toy, decoration or voyage companion. You can stick it to your luggage bag and use it this way. The tutorial consumes very little time, is very easy to follow and the instructions in the video guidelines are in English. So, basically you are going to have no problems making yourself this beautiful tiny bear. Have fun.